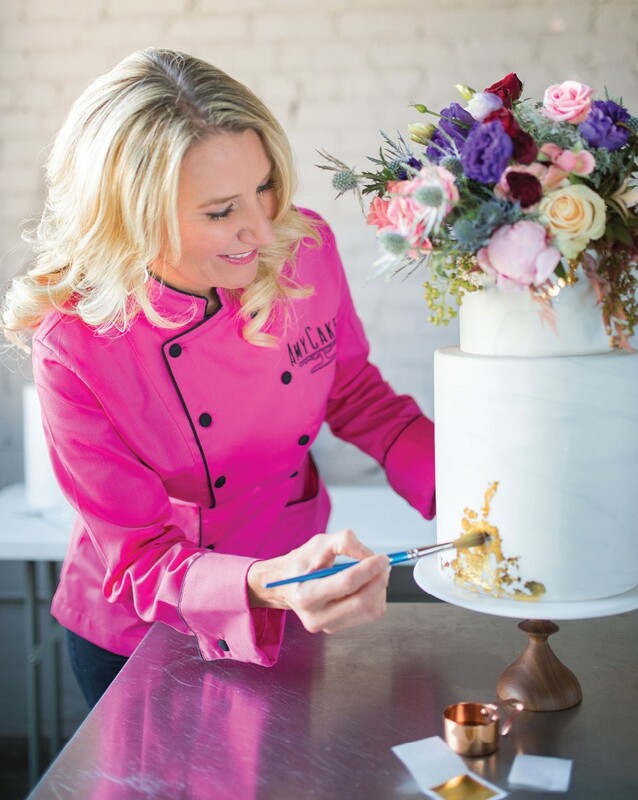 In the current issue of Brides of Oklahoma we sat down with some of the most talented Oklahoma wedding cake artists at Waters Edge Winery to find out more about their design process and what sets them apart from the rest! Over the next month, we’ll be highlighting each talented designer and their gorgeous cakes created just for this issue! Today’s lovely cake baker is none other than the talented Amy Cullifer of Amy Cakes. 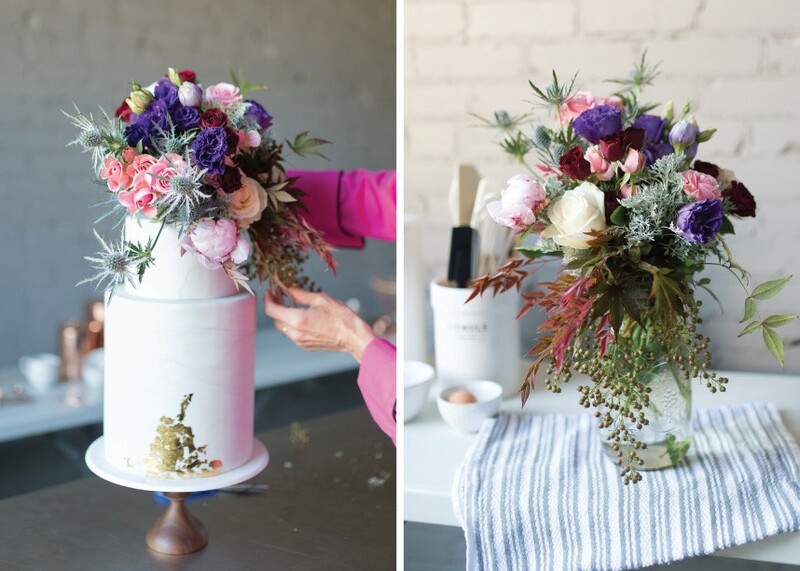 Her stunning cake design left us breathless! See what she has to say about this design and what sets her lovely confections apart. 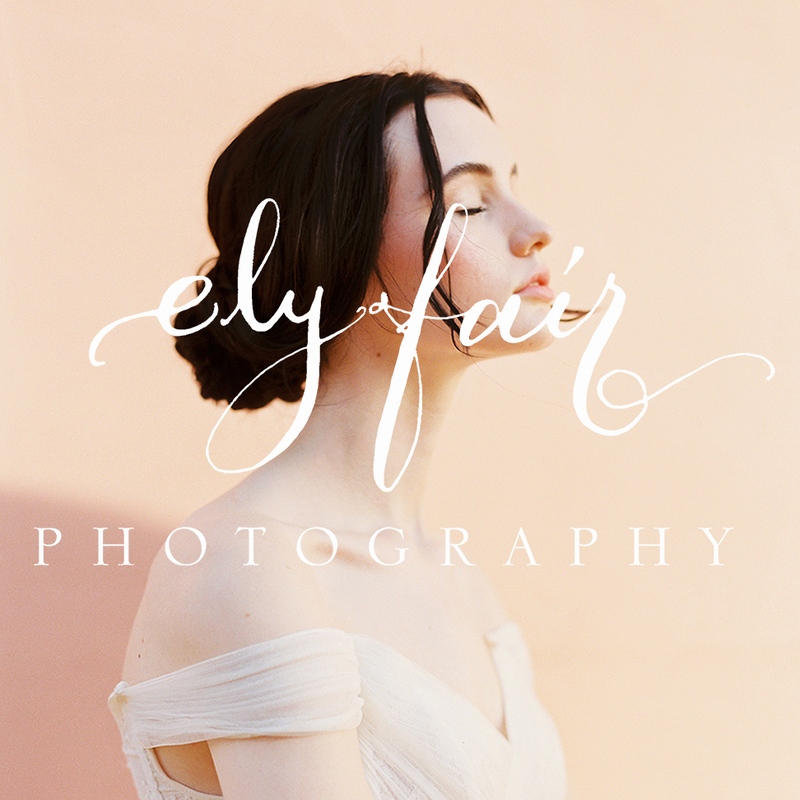 Thanks to Ely Fair Photography for capturing these fabulous images! The featured cake is a quadruple stacked 8 inch with double six inch tier. 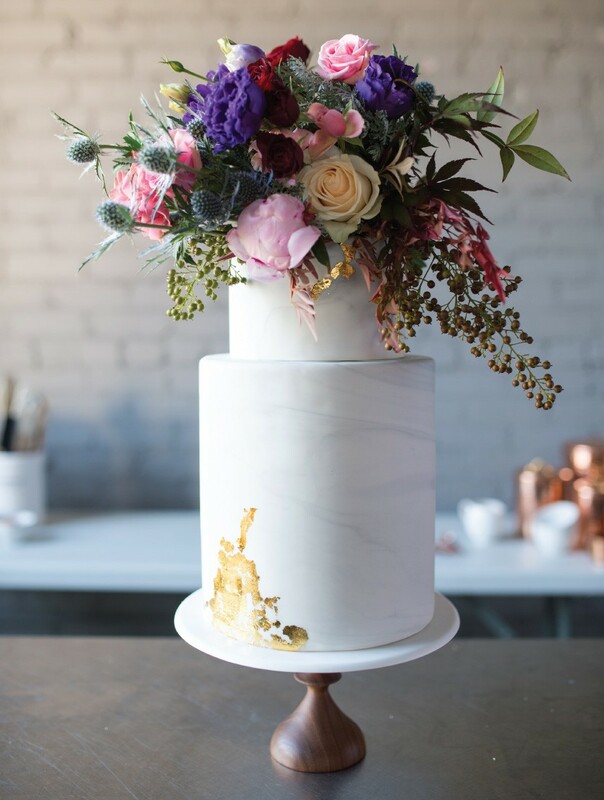 It’s covered with lightly marbled fondant and finished with gold leaf and a crown of fresh flowers. With cakes as with many things, less is more. Each element is distinct but not disjointed. Harmony was and always is the goal. I discovered my passion for baking and decorating at a young age. Over the years, I have been very fortunate to have worked with some amazing bakers and decorators. I enjoy teaching and sharing my love for creating cakes. 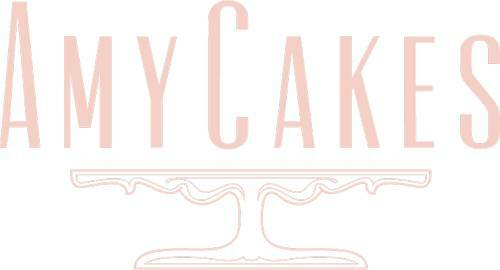 In 2005, I started Amy Cakes with the encouragement of a friend and neighbor. I often pinch myself, thinking “I am living my dream career!” – 26 years and it is still my love. 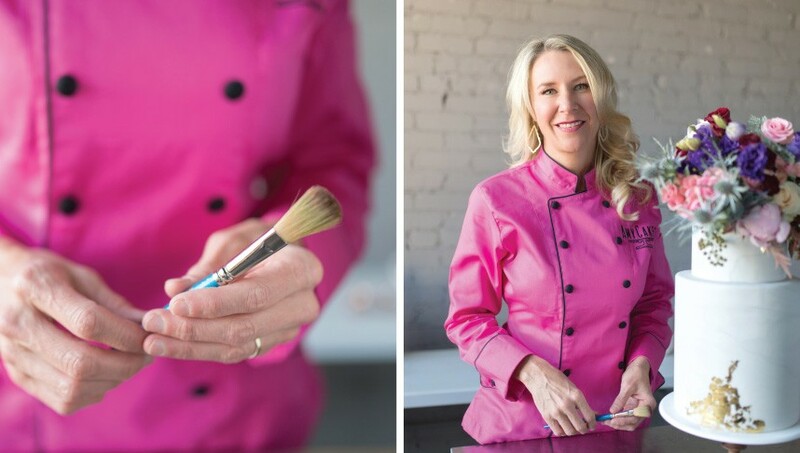 To me and my team, it’s not “just cake” – it’s memories, milestones and edible art. Meet with as many bakers as you can. The most important thing is that your baker not only understands but really sees the vision you have for your wedding no matter how grand or humble it might be. Also consider taste. Remember, you’ll be sharing this with those you love and care for the most. As long as you plan with celebration in mind, you cannot go wrong!